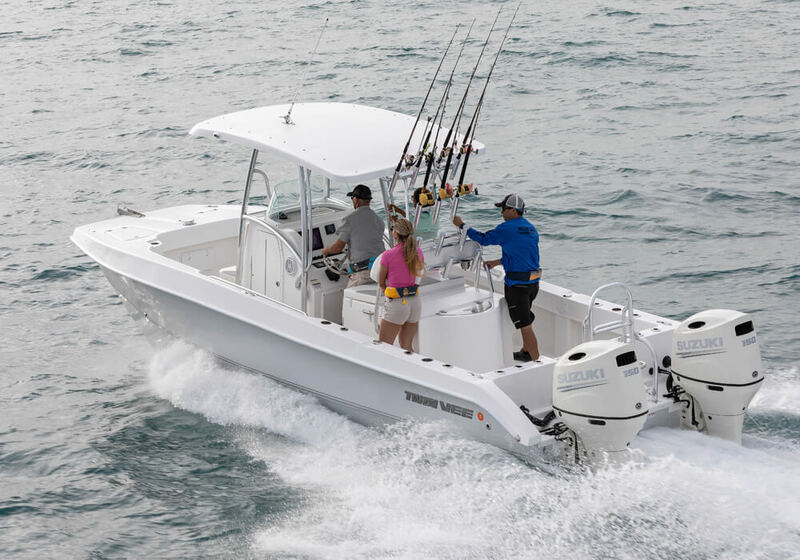 For Seasoned Fisherman and Families Alike. 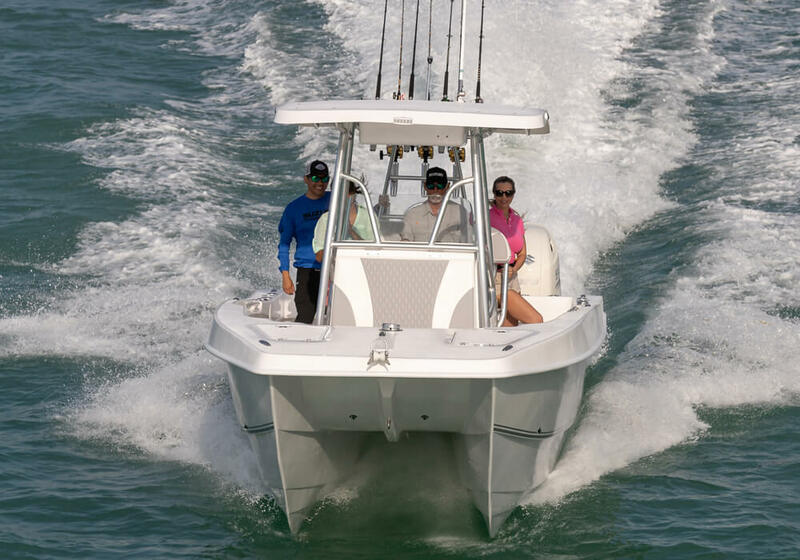 The 260 GF PowerCat is the boat of choice for any family that wants to “Go Fish” in a spacious 26-foot boat that handles open seas without a problem. 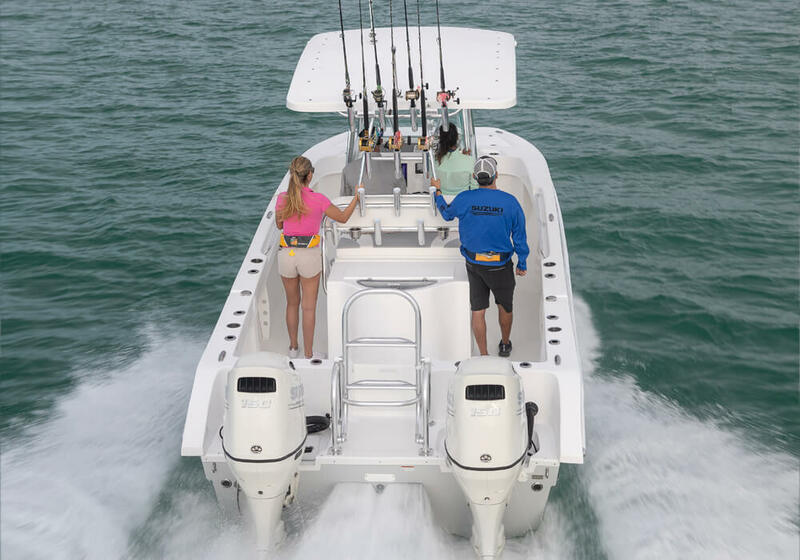 Seasoned fishermen and families alike will appreciate the features and layout found aboard this fishing platform. 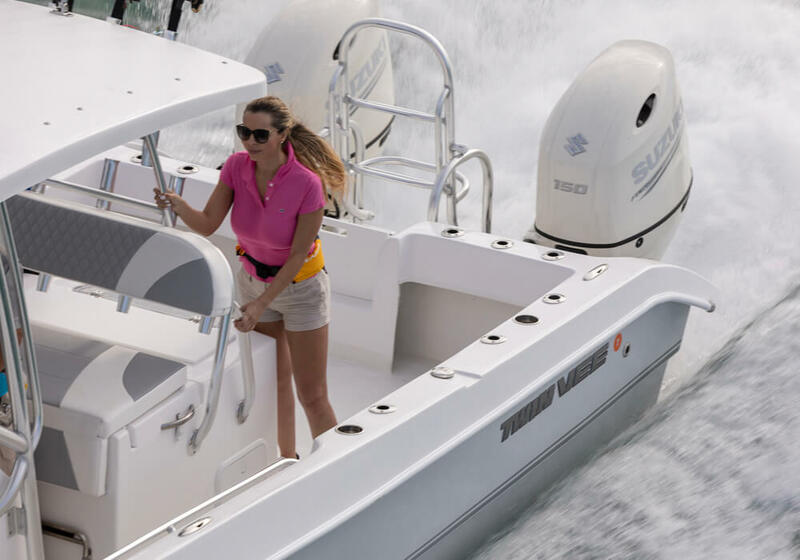 A perfect example of what the “GF” line of boats represents, the 260 GF takes full advantage of our Twin Vee dual hull by combining it with a deck plan focused on fishability.